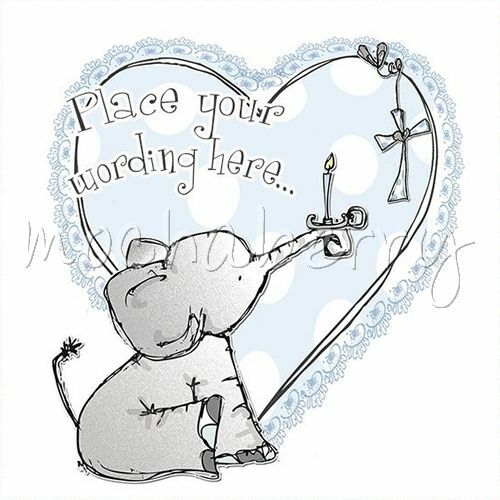 A gorgeous illustration of a blue elephant holding a candle with a heart with a cross in the background. Hand finished with glitter and various embellishments (not shown). suggestions for use: boy christening, baptism.